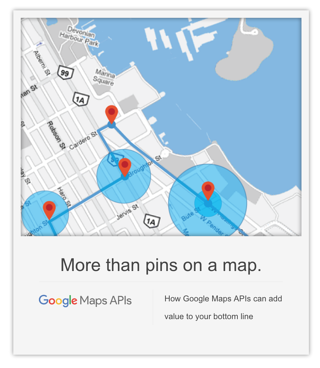 See how businesses are making Google Maps work for them in this newly developed white paper. 381 businesses surveyed across more than 30 business sectors. 40% of respondents have seen increased productivity with Maps APIs. Half of respondents report an increase in customer satisfaction due to Maps APIs.